JTA - The Anti-Defamation League will build a Silicon Valley “command center” to combat online hate speech and harassment, the group’s CEO announced. CEO Jonathan Greenblatt made the announcement Sunday at the “South by Southwest” music and media festival in Austin, Texas. He said the ADL secured seed funding for the project from Omidyar Network, a self-styled “philanthropic investment firm” started by eBay founder Pierre Omidyar and his wife. Greenblatt was on stage discussing recent hate crimes on stage with Evan Smith, the editor-in-chief of the local newspaper The Texas Tribune. According to the ADL statement, the center will bring together “the best technology” and “seasoned experts” to “monitor, track, analyze and mitigate hate speech and harassment across the Internet, in support of the Jewish community and other minority groups. Brittan Heller, a lawyer who joined the ADL last year, is to serve as the founding director of the new center. She investigated and prosecuted cyber crime and human rights violations at the U.S. Department of Justice and the International Criminal Court in The Hague. “Inclusivity is key to a healthy society and yet this is being challenged and attacked in countries around the world, including the United States,” said Stacy Donohue, an investment partner at the Omidyar Network. “Cyberhate is a big, growing part of the problem and it needs a big response. Since Donald Trump’s election as president, the ADL has repeatedly warned that the anti-Semitic incidents are on the rise and called for action. In March, Trump responded to a question from an Orthodox reporter about what action he would take by angrily denying that he was anti-Semitic, prompting pushback from Greenblatt and ADL National Chairman Marvin Nathan. Days after Donald Trump was elected president, the ADL reported a dramatic increase in donations. 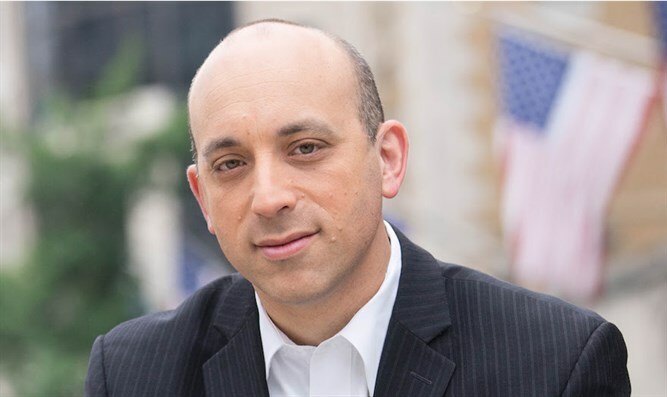 “Many of the new donors are most interested in seeing ADL scale up its work in the cyberhate space, where the anti-Semitism and hate speech has been most alarming. They are asking us to devote some of those funds to monitoring, exposing and disrupting cyberhate,” Greenblatt said in November. Since the beginning of the year, more than 100 bomb threats have targeted Jewish Community Centers and other U.S. Jewish institutions, including ADL offices.